OpenTable.com™ is an online real-time restaurant reservation service that provides a fast, efficient way to find available tables that meet desired criteria for cuisine, price, and location. This OpenTable Block requires participation in the OpenTable.com system. To register, visit www.opentable.com and click on the “Restaurateurs: Join Us” link at the bottom right of the page for more information. 3. 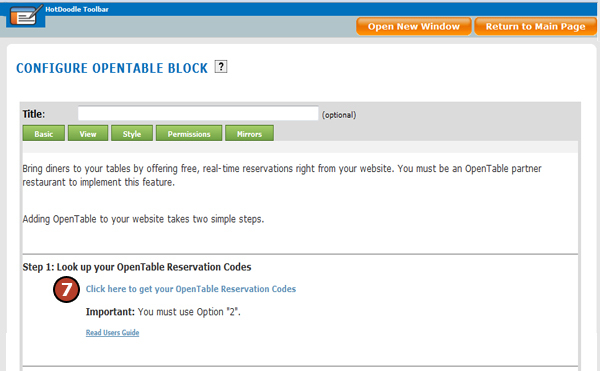 On the webpage, click on the "Add Here" button where the OpenTable Block will display. 4. Click on the "OpenTable" block. 5. 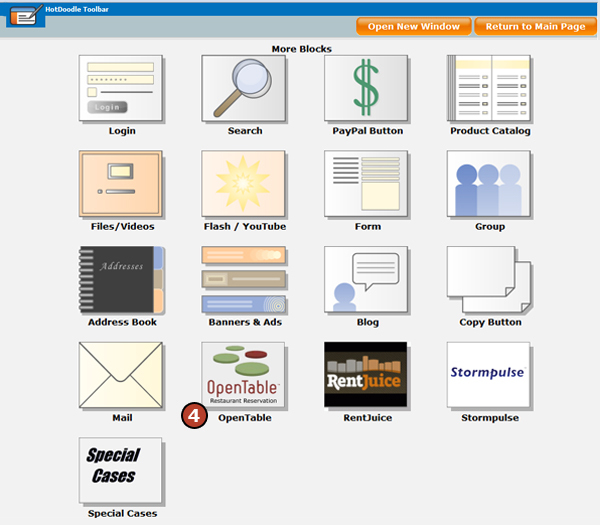 Choose the appearance type for the block. 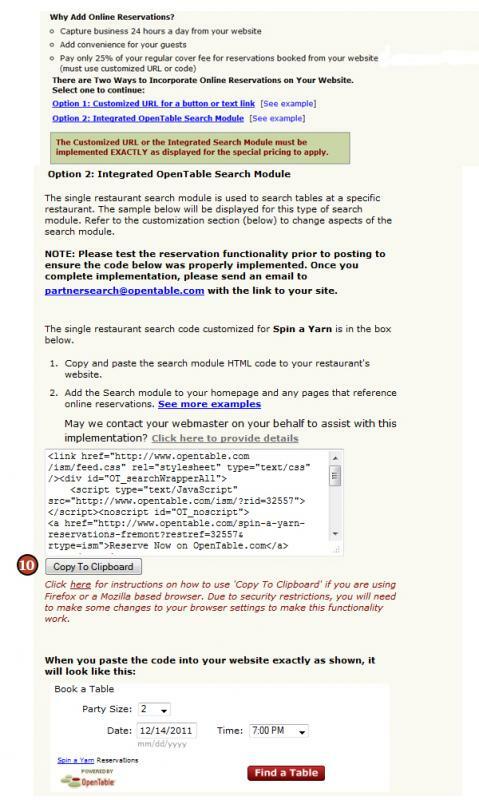 Default – This option creates a link to the linked OpenTable profile page. 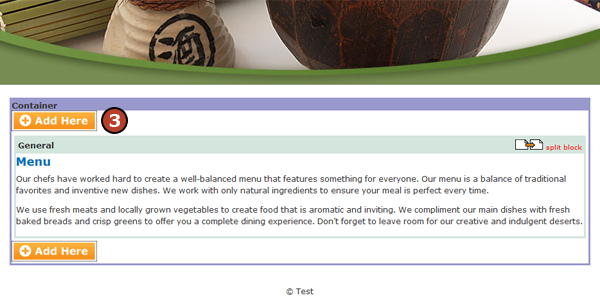 Form Horizontal – This option allows users to make a reservation directly from the website (side to side arrangement). 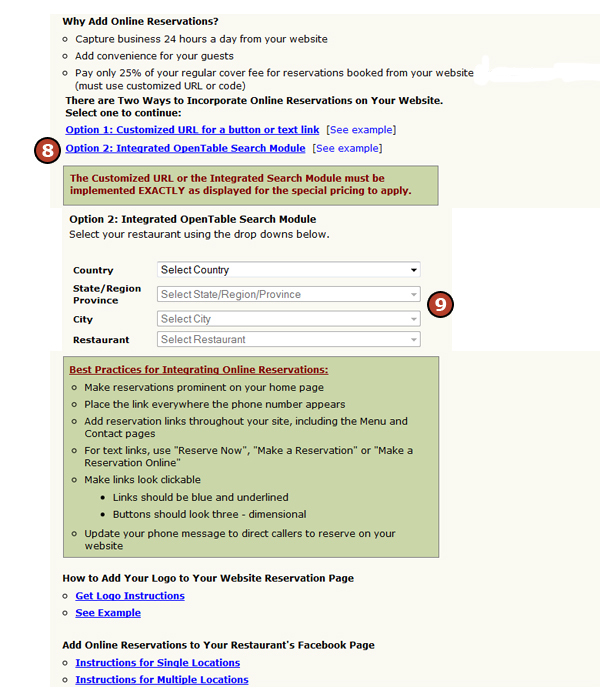 Form Vertical – This option allows users to make a reservation directly from the website (top to bottom arrangement). 7. Click on the “Click here to get your OpenTable Reservation Codes” link. 8. 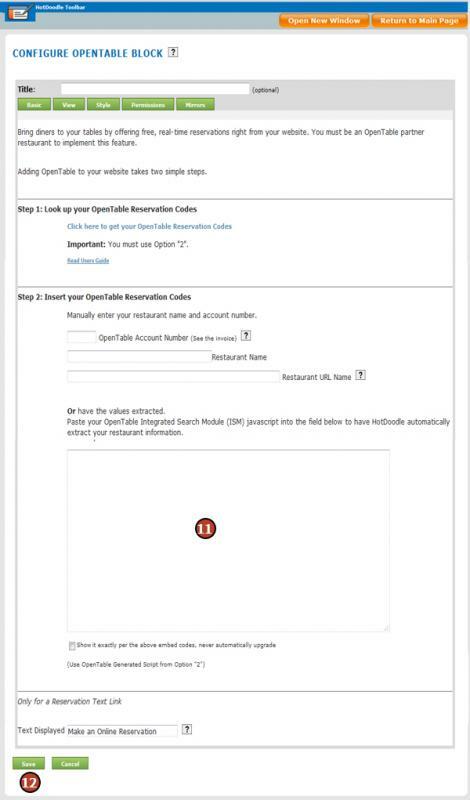 Click on the "Option #2 Integrated OpenTable Search Module" link. 10. Click on the "Copy to Clipboard" button to copy the OpenTable code. 11. 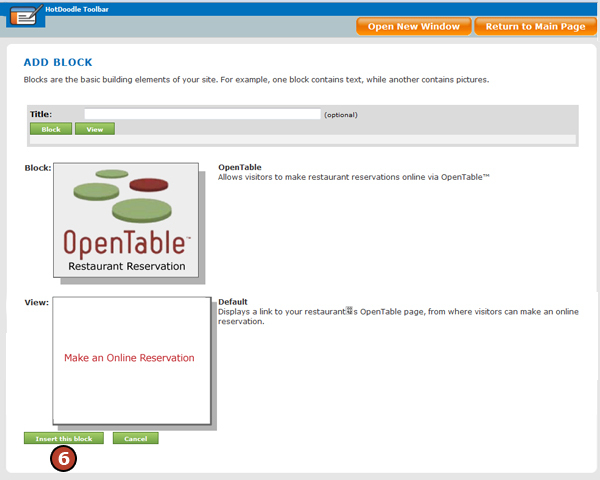 Return to the HotDoodle window and paste the code into the text box under “Step 2 Insert Your OpenTable Reservations Codes”. 12. Click on the "Save" button.